Hot Wheels Track Builder Accessory Jump it! 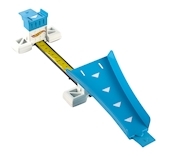 Build out your Hot Wheels® world with this awesome track accessory! Kids will enjoy experimenting with imaginative ways to use this Track Builder accessory around the house with common, everyday items. The Launch It accessory is a universal launcher that has a “hot spot,” a 360-degree track connector that’s triggered when hit by a car or another object. 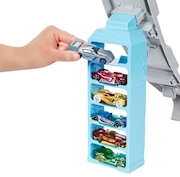 Includes one Hot Wheels® vehicle. 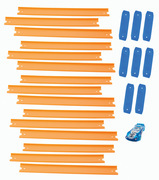 Together with the other accessories in the assortment, they offer all the building basics for stunting fun! Collect them all! Each sold separately, subject to availability. Colors and decorations may vary.